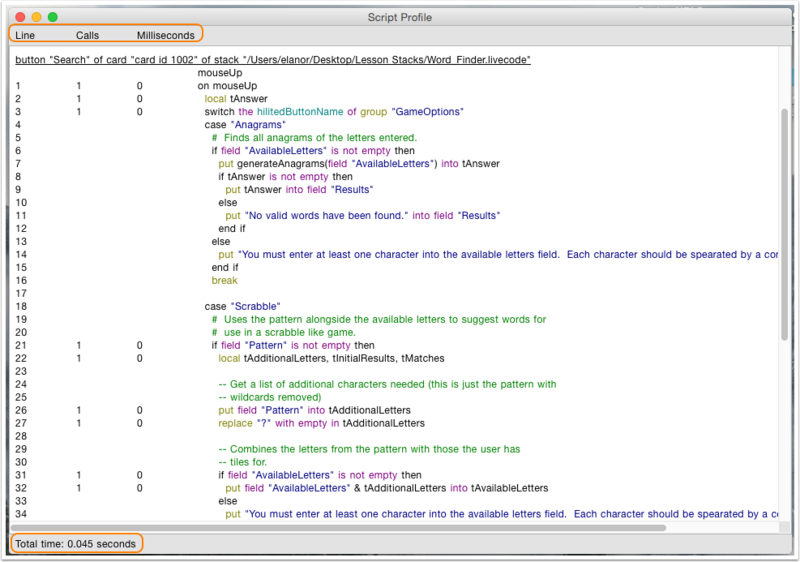 The Script Profiler can help you identify the most costly lines of code in a stack. This can help you optimise your code by identifying inefficiencies. 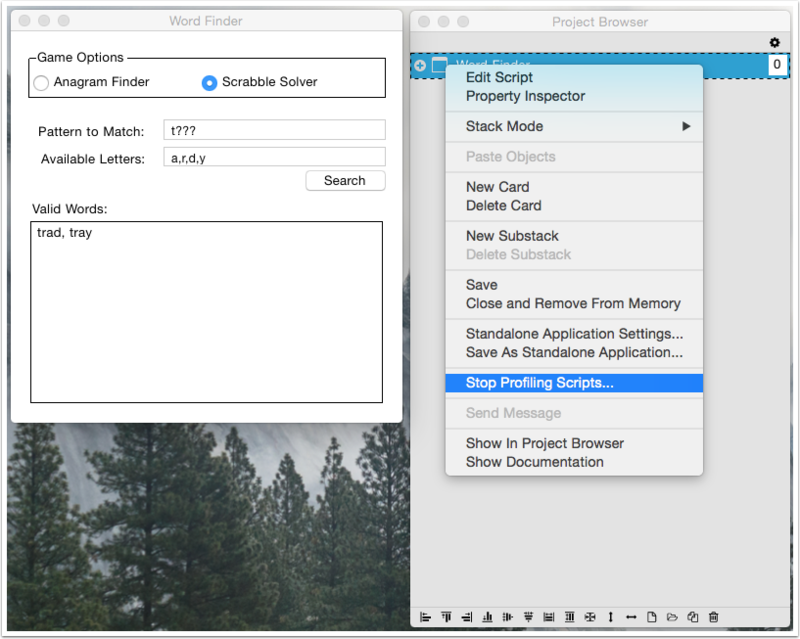 To use the Script Profiler you open a stack, start the profiler and use the stack. When each line of a script in the stack is executed the execution time will be recorded. When the profiler is stopped a report is presented. 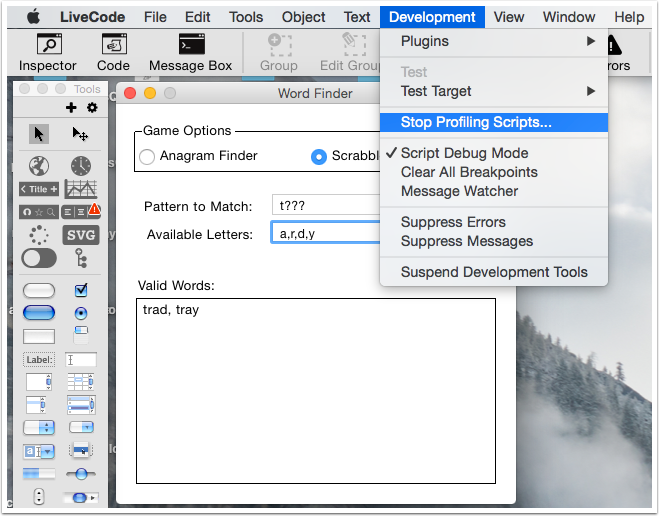 Note: The Script Profiler is available in Business Edition of LiveCode. 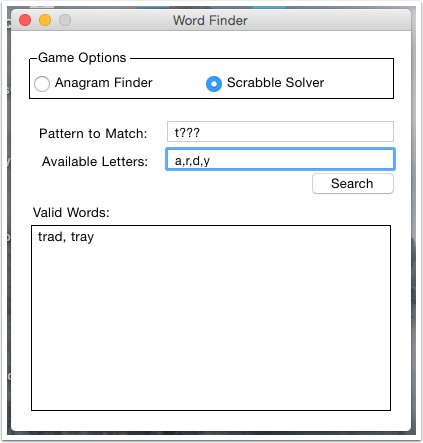 Open the stack you want to profile, and ensure it is the topStack. Choose 'Start Profiling Scripts' from the Development menu, this will begin profiling the topStack. Starting using the stack to begin the profile, when each line of a script in the stack is executed the execution time will be recorded. To stop the Script Profiler select 'Stop Profiling Scripts' from the Development menu. When the Script Profiler is stopped a report is shown. The total time in seconds is displayed at the bottom of the report. 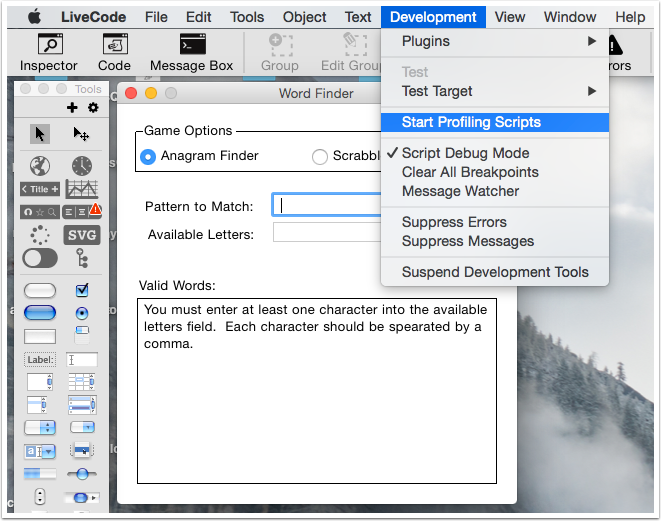 Double clicking a line in the report will open the line of script in the Script Editor. 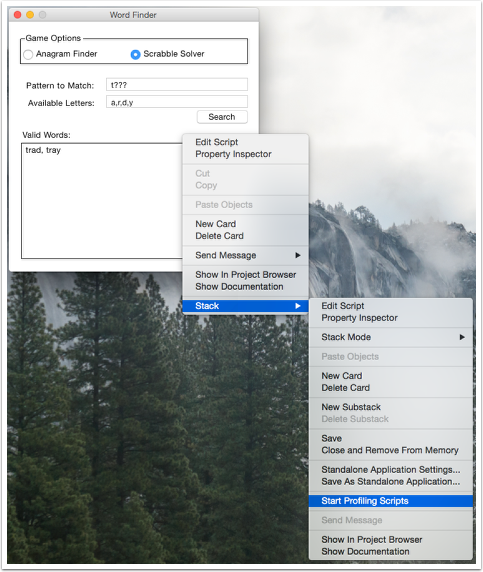 You can also start and stop the Script Profiler using the stack context menu, opened by ctrl/right clicking on the stack, or via the stack context menu in the Project Browser.